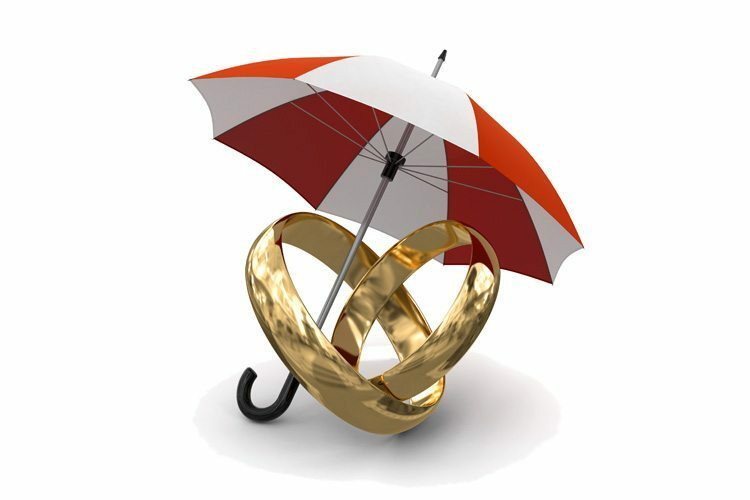 Wedding insurance is a type of special event insurance (also called day of event coverage) that covers injuries, and venue damages. Plus, you can add coverage for cancellations, rings, cakes, dresses, etc. The average wedding now costs $31,000, making it a significant investment. General Liability insurance protects a company and all parties involved in the event-the planner, venue, caterers, etc., for losses due to bodily injury or property damage caused by the insured’s employees or agents. Venues and agents will usually require liability for $1,000,000. Almost every visiting couple we have asks the same question, “Why do we need this coverage?” In a society where litigation runs rampant, it’s always best to protect yourself from ever having to deal with those worse case scenarios. If you have an incident where a guest has been drinking, and accidently slips, and falls, they will most likely sue everyone involved. The venue, bride and groom, and anyone else they think will get them a payday. Liquor liability coverage arising from causing or contributing to the intoxication of a person; the accidental furnishing of alcoholic beverages to a person under the legal drinking age or under the influence of alcohol, or any statute, ordinance, or regulation relating to the sale, gift, distribution, or use of alcoholic beverages. Cancellation insurance will protect you in case of unforeseen situations such as inclement weather, including hurricane, if a venue is deemed unusable, or something else that requires you to cancel an event. This helps you cover many of the costs and deposits already paid. Third-party damage insurance covers damages to a location while it is under your control, protecting you from having to pay for repairs. No matter the size of your event or how well prepared you are, you never know when the worst-case scenario could become your reality. It’s the small things that cause the most problems if you’re not properly covered. So even the most basic coverage policy could prove to be a big help in the long run. Having the proper insurance can make the difference between a minor bump in the road and a complete detour.